As my ever evolving coffee geekery expands, I'm finding more ways to spend money on equipment. My latest experiment has me diving head first into the realm of the naked portafilter. The main idea behind the naked (or bottomless) portafilter is that you can better troubleshoot your espresso shot by clearly seeing what's going on during the pull. If things don't go so well, you might get errant sprays of coffee making a mess everywhere, indicating a poor or uneven extraction. 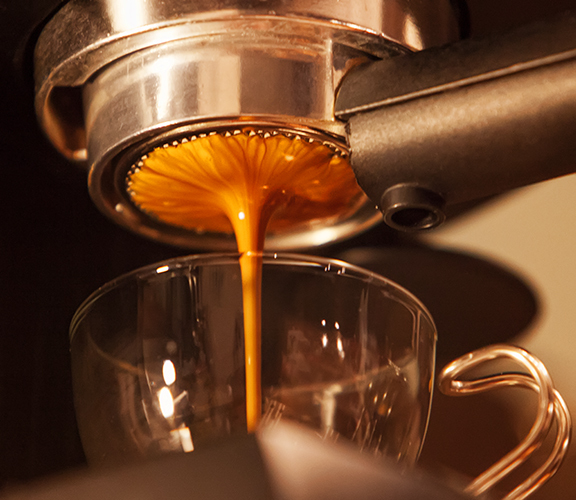 If things go perfectly, the coffee comes out evenly and you get a beautiful stream, hopefully corresponding to a nicely extracted cup of espresso. Clockwise from the top-left, you can see my espresso machine's portafilter handle, the plastic spout that I sawed off, the original pressurized double shot basket, and the new unpressurized basket that I ordered online. For the most part, I had to saw off the plastic spout because the new basket wouldn't fit otherwise. The added side effect is that I now have a bottomless portafilter. No turning back now. It's more fun and satisfying this way anyway. Yes, I've definitely gone coffee crazy over the past three months. Here is the setup I've accumulated so far. 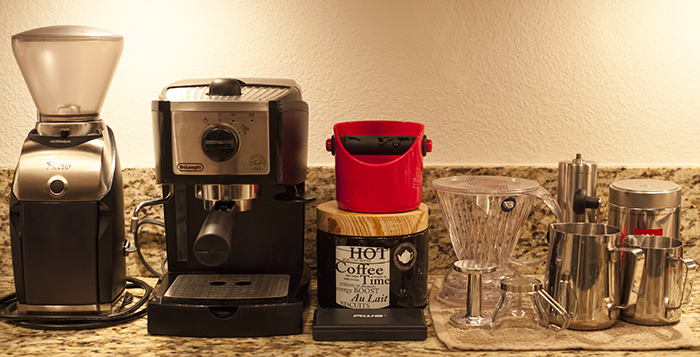 I started with the Delonghi EC155—probably the most entry-level espresso machine out there. When I began, I bought pre-ground coffee from Illy, then got my feet wet with the Porlex hand grinder, and finally graduated to the Baratza Preciso grinder on the left. The hand grinder will still be useful when we go camping. For the mornings when I don't feel like making espresso, I bought a Clever Coffee Dripper. It's a hybrid between a full immersion and a drip coffee system. That might also come in handy when we go camping. I no longer use this machine, but I looked up my order email. 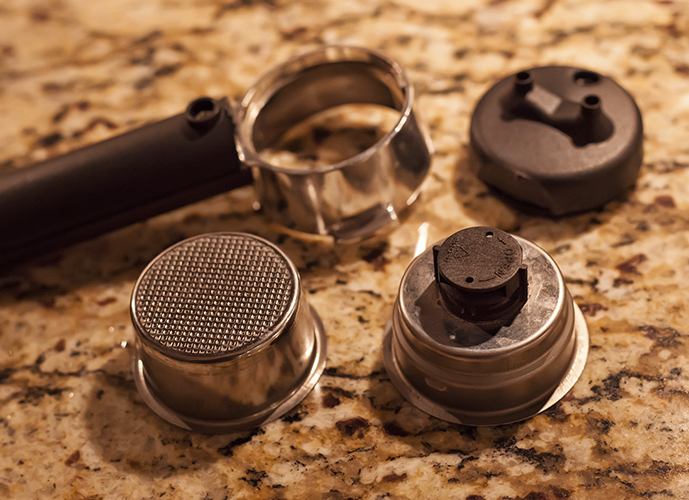 The item description says, "VST Precision Filter Baskets Portafilter Espresso Insert Basket - Espresso [PFB-RL-20g Ridgeless]." I hope that helps you!